There are no errors on frontend and logs are empty. That makes debugging much complicated. In this article you will find out how to resolve such issues. It could be just a typo. It also might be that you do not understand method of matching controller name and action name. 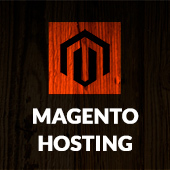 In this case please refer to Magento Knowledge base. If the path contain Mage/Core/… instead of Namespace/Modulename it means that something is wrong with the router in config.xml. And again please refer to Magento Knowledge base. – “Fatal error: Call to undefined method NameSpace_Modulename_IndexController::hasAction()” – controller is not extends from base frontend controller Mage_Core_Controller_Front_Action or base backend controller Mage_Adminhtml_Controller_Action. It means that controller class missing method. Check your method name, perhaps you just miss Action in the end. 3. I have created layout file, but it is not working. Reload the page and check if there is load error. If you do not see such message file is really not loaded. You need to check layout sections in config.xml, check xml file location. If you want to check list of loaded xml files, you can use such code. Open /lib/Varien/Simplexml/Config.php and find loadFile method. 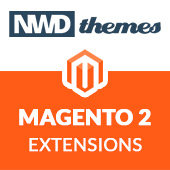 Magento debug, development, error, magento. permalink.